The Park Bugle is seeking candidates to fill openings on our board of directors. The volunteer board consists of residents and businesspeople from the communities we serve: St. Anthony Park, Como Park, Lauderdale and Falcon Heights. 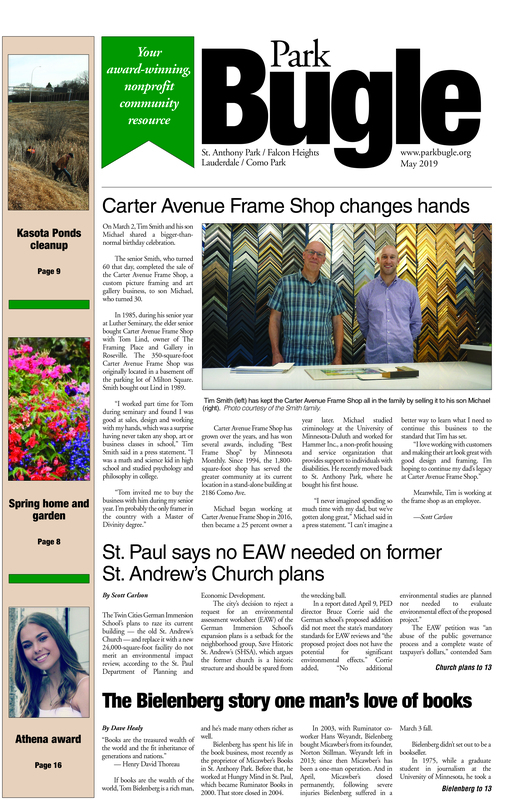 The board, which meets monthly, is beginning short- and long-term strategic planning to continue the Bugle’s mission of providing community news and information. We are looking for candidates who have one or more of the following skills or backgrounds: organizational management or strategic-planning skills, especially with nonprofits; prior experience on a nonprofit board; social media, background in fundraising or grant-writing, sales, advertising or legal experience; and a strong connection to the community. To apply, please send a short note and biography to editor@parkbugle.org with DIRECTORS in the subject line, or mail a letter addressed: Attn: Directors Park Bugle, P.O. Box 8126, St. Paul 55108.
fringilla vel, diam eget Praesent ante. odio quis consequat.